When we spoke to our nannies, especially our temporary and holiday nannies, they all told us the same things when it came to planning a stress-free skiing holiday: manage clothing and expectations, be clear about what you expect of your nanny, respect the terrain and any announcements and plan for down days and difficulties. It’s very easy to suggest to children that they’re going to ‘love’ skiing or even that they are going to surpass what they could achieve last year. Experienced nanny candidates tell us this can be a recipe for misery, as some children find their first skiing holiday hard work, and for others – especially those going through growth spurts etc – progress isn’t always linear and forward, it can cycle around unexpectedly and lead to what looks like a lower skills base for a few days. Children take such experiences very much to heart, so keeping statements simple and realistic can prevent melt-downs. If you take your nanny on a skiing holiday, it’s best to be clear from the beginning – long before you fly. While many nannies will be delighted to receive a normal week’s pay for their ski trip, others might prefer to stay home and use up some of their holiday allowance. Also, if you’re paying your nanny to work a normal week, her workload shouldn’t exceed a normal week, and she should have a separate bedroom. We have many temporary nanny candidates who specialise it holiday trips so if your nanny’s not a skier, you don’t have to worry about relying on resort childcare, you can interview and hire before you leave home for a stress free trip. Teaching your children good ski etiquette is important. That means making sensible choices about slopes and not forcing your children to the top of a mountain only to find they simply can’t handle it. Not only is that frustrating for all concerned, it can damage a child’s confidence badly, and impact their trust in you over the long term. Respect also means listening to announcements and being cheerful about changes to plans because of adverse weather conditions or other difficulties that mean you can’t have all the fun you might have hoped for. Down days can be a sore throat or a sore ankle, difficulties can include a young child not having slept well and wanting to be close to a parent all day, or having had a bad fall that’s shaken their faith in their Ski School instructor. Expect at least one down day and work out, with your nanny, how to handle it. 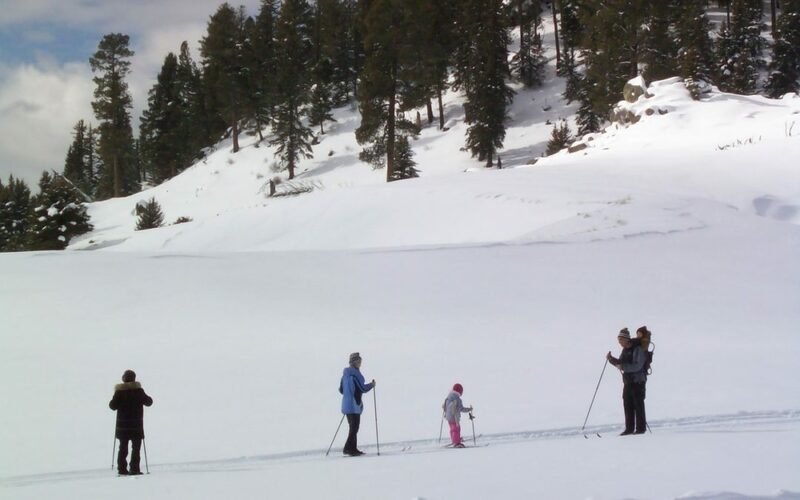 There are usually half-day trips you can make outside the ski resort that will restore your child’s perspective and allow you to have some fun despite missing a day’s skiing. Trade off at lunchtime so both you and your nanny can enjoy the day and you’ll probably find your child is ready to roll by breakfast the next morning!